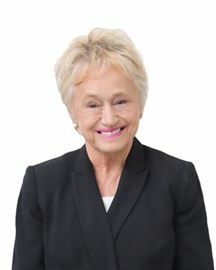 Kimberley Shorland opened her real estate agency in 1999, 5 years after joining the industry and after a childhood ambition to run her own real estate office. In 2002 her husband Trent joined the office and together they began to grow a highly successful team in the Adelaide Hills. Now operating for 17 years with many of the original team members, Harcourts Adelaide Hills is the leading agency for selling the highest net worth of properties in the Adelaide Hills. With a specialised team of 33 people ranging from administration, marketing, property management, business development, finance and sales, Harcourts' Adelaide Hills offers a holistic real estate service. Leading a diverse team is what Kimberley enjoys the most. With a deeply engrained culture of mutual trust, friendship, support and collective professionalism, it's the growth of not only the individual but of the entire team that is proving to be a force to be reckoned with. "A good business contains great people, but a great business is created by extraordinary people. It's our people coupled with Harcourts' systems that really do make all the difference" says Kimberley. 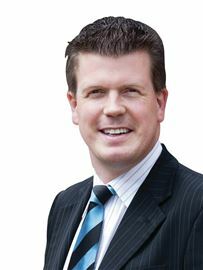 Michael Brock has twice been President of the Real Estate Institute of South Australia, a Fellow of the Society of Auctioneers and Appraisers (SA) Inc., has served on the Australian REI Board, is a former Board member of South Australian Housing Trust (now Housing SA), and an icon in the industry for over 42 years. He is recognised nationally as one of the best real estate Auctioneers in the country and won the inaugural Australasian Auctioneering Championships. He has conducted over 8000 auctions. He has owned and run one of South Australia's most successful, wholly independent businesses with over 100 people, but is delighted to go back to what he does best ... listing, selling, auctioneering and negotiating the best possible result for his vendors, together with his wife Susan. Four times he has sold the most expensive home in South Australia, including at the end of 2014 a home he sold between $5.5-$6 Million dollars. Michael has very strong connections and experience across Australia, and is both a national and international keynote speaker on real estate. He is a highly skilled negotiator, trainer, communicator and businessman. He is the major shareholder of Harcourts SA and was recently Harcourts Top Selling Agent in the State. In 2012 he was awarded the prestigious Harcourts International "Hall of Fame", one of only 21 recipients since Harcourts was founded in 1888. He was also awarded Life Membership of the Real Estate Institute of South Australia for outstanding service to the industry. His service to the community is abbreviated as follows: •	Chair, Prostate Cancer Foundation of Australia – SA & NT; National Board Member, Prostate Cancer Foundation of Australia •	Chair Burnside Hospital Major Fundraising Committee; •	Chair Sir Donald Bradman Collection Appeal: •	Former Board Member of South Australia Housing Trust (now Housing SA); •	Former Board Member of The Australian Formula One Grand Prix Board (SA) and The Motor Sport Board (SA); •	Life Member of St. Peters Old Collegians Football and Cricket Clubs; •	Life Member of Real Estate Institute of South Australia. Susan and Michael together, offer the highest level and most accomplished negotiation skills in the South Australian real estate industry. "Results will always speak for themselves and cannot be disputed" ... "Our reputation is based simply and honestly on referral and success based sales and marketing. We are passionate and love what we do and our clients mean the world to us ..." Last year Susan and Michael finished in the Top 20 Salespeople in Australia for Harcourts. Together Susan and Michael make a most dynamic team. Please contact us at Harcourts Brock Estates - (Luxury Property Specialists) on landline (08) 8213 5999 or mobile number 0418 820 395 or via email: michael.brock@harcourts.com.au anytime for professional advice and assistance with any of your real estate requirements. We would be honoured to be of assistance. Susan Brock has been working with husband Michael for the last 5 years, listing and selling many of Adelaide's most beautiful homes. Susan ran a highly successful garden design business, Susan Kloeden Design. Susan then launched a new business specialising in furnishing and styling homes for sale, which she still runs in conjunction with Michael. Susan's incredible ability to style a home often adds tens of thousands to sale prices. She is an extremely talented marketer, negotiator and stylist. Honesty, integrity, style and presentation are her core values. Susan and Michael together, offer the highest level and most accomplished negotiation skills in the South Australian real estate industry. "Results will always speak for themselves and cannot be disputed" ... "Our reputation is based simply and honestly on referral and success based sales and marketing. We are passionate and love what we do and our clients mean the world to us ..." Last year Susan and Michael finished in the Top 20 Salespeople in Australia for Harcourts. Together Susan and Michael make a most dynamic team. Please contact us at Harcourts Brock Estates - (Luxury Property Specialists) on landline (08) 8213 5999 or mobile number 0418 820 395 or via email: michael.brock@harcourts.com.au anytime for professional advice and assistance with any of your real estate requirements. We would be honoured to be of assistance. 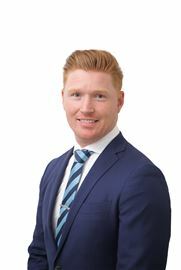 Trent, before entering real estate, he had a successful career in marketing, before opening up a real estate office in Mount Barker with his wife Kimberley 9 years ago. Trent has continued to share his knowledge to create a very successful marketing method and ensures that top prices are always achieved quickly and with minimal disruption to the individual seller. Trent is also a qualified auctioneer and is continuing his managerial studies. Furthermore he is also qualified in commercial and business sales and has proved to be extremely successful in the area of the business. Trent believes that the most important features for any Real Estate agent is honesty, integrity and commitment to service. His comprehensive marketing knowledge has proved to greatly enhance the promotion of property brining excellent results. Living in the Eastern suburbs for the last 15 years and currently owning 8 investment properties spread throughout metropolitan Adelaide, I have a detailed knowledge of suburban Adelaide and a vested interest in following property prices too. My passion for property began at age 20 where the concept of buying a property, renting it to a tenant - effectively having the tenant pay the mortgage for me, sounded like a great plan for my future. I purchased my first property at age 21, then two more over the following 12 months and since 1999 right up to 2013, I've acquired about 10 more, some I still have and others I've sold over the years. I've renovated and profited; and renovated and lost money too, so I can empathise and understand first-hand the ups and downs of the property market. Working with me in the sale of your home or investment, you can be assured of an honest property value assessment at our first contact, a measured, cost effective marketing and advertising plan to achieve the best price possible in the quickest time possible as well as regular, open and very very honest feedback throughout the selling process of your largest asset. If you seek an agent who thinks they’re a celebrity; or an agent who'll pass you on to their assistant to handle the sale; or an agent whose all talk and no walk, then please don’t contact me… but if you seek an agent who'll give you the good, bad and ugly feedback at all times; an agent that will be by your side from day one; an agent that has proven successful results and an agent who will watch your pennies to ensure they are spent in the most effective way to achieve the best result, then please contact me straight away! Over the years, previous clients have provided testimonials and some lovely cards describing me as ‘enthusiastic’, ‘a great communicator’, ‘attention to detail’, ‘clever negotiation skills’, ‘honest’, ‘having integrity’, ‘knowing his stuff’ and a ‘funny bas%$#’. Having worked with Harcourts since 2007, I've achieved much success within the group, being recognised as one of our states top performers. Please don’t hesitate to contact me any time to arrange a free no obligation market appraisal of your home or investment. Georgie Young has over a decade in sales and has won a variety of awards for her outstanding performance. Georgie believes success is built on your ability to breathe and live your passion. She prides herself on making strong connections with people and her goal is to make every client feel nurtured by ensuring all their needs and wants are met. At her core Georgie is an infectious people person and as result she has a strong sense of community within her ever growing network. Her eye for detail and her position for selling well, is further enhanced with her background holding a Bachelors Degree in Public Relations and Marketing. 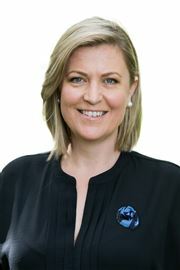 Georgie has diverse experience interacting with people from varying backgrounds which has given her a unique understanding of people’s goals and objectives. Finding these touch points enables her to negotiate in a more persuasive manner which generates desirable results. Georgie knows that with a positive mind set, a can do attitude that any obstacle can be turned into an opportunity. Georgie looks forward to having a memorable encounter with you soon. Kyle is a passionate and energetic professional looking to bring a fresh approach to his sales career. Kyle has a background in professional sports competing in the AFL for the last 11 years where hard work and determination is paramount. Kyle's true passion is helping people in any way possible to allow them to be the best they can be. His previous Ambassador role at The Mary Potter Hospice further exemplifies his passion and care for people. An honest, friendly and hardworking reputation is sure to see Kyle succeed in his new endeavours as a Sales Professional. 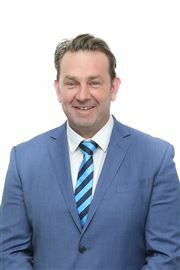 With over 16 Years in Real Estate Sales in the Harcourts Group in Adelaide and Airlie Beach, my ability to work with sellers and buyers at all levels of the market and also enjoy the interaction with people who place a great deal of trust in my experience, skills and ability to get the job done. I am a multi award winning Agent with experience in all facets of the industry including Commercial Real Estate. During my time in Airlie Beach, I worked closely with investors and developers in an emerging resort community. Popular with Sydney and Melbourne holiday makers who formed a source of buyers for lifestyle properties. I gained valuable experience in land sub-divisions and housing projects. I achieved regular property sales of over a million dollars including some in excess of 3 million dollars. My background of Hospitality and Nursing helped me develop and fine tune my people skills, and moving back to Adelaide last year has brought me closer to family and particularly grandchildren. I look forward to working with my former colleagues at Harcourts Brock Estates and assisting my clients with all their real estate needs. 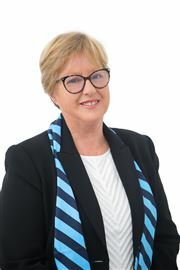 “Since my first day in real estate I have held the view that when selling property I am entrusted with my client’s most valuable possession, and I take my role very seriously.” Sue is one of Adelaide’s most experienced and well respected sales professionals, with more than 30 years in the real estate industry and a string of awards to her name. But she doesn’t care who gets the credit, it’s all about the win for her! Her commitment to achieving the best outcomes for her clients is unwavering. For Sue, it’s not just about the dollars – she loves people and really looks out for them, treating all of her clients with the respect they deserve and always performing at the highest level. Determination, tenacity and honesty are among Sue’s many strengths and, with much of her business transacted at the upper end of the market, you can be assured of her absolute discretion too. Polite, friendly and hardworking, with a stylish sophistication all of her own, Sue is able to offer her clients so much more than just a basic selling experience, including extra help at opens from husband John. List with Sue and you’ll also enjoy the knowledge and skill of a talented stylist, gifted communicator and consummate negotiator who embraces innovation and loves to learn. Sue is also a licensed Real Estate Manager. There’s no substitute for experience, so give Sue a ring today. Dana is an award winning Property Manager who began her career in Real Estate in 2012. Having worked in sales administration and all facets of property management, her confidence and passion has grown with her experience. Priding herself on customer satisfaction, Dana goes over and above for her clients to build strong relationships with landlords and tenants alike, while maintaining a high level of professionalism. Motivated, organised and personable, Dana is a valuable member of our successful team. We look forward to watching Dana lead a successful career in Property Management. With over 30 years experience in Real Estate finance, marketing and administration, Julie drives our vision and strong team spirit, keeping us all on task and providing us with prompt and efficient administrative backup whilst liaising with clients and suppliers. A people-focused real estate professional, Kathryn has an astounding ability to blend kindness, empathy and charming assertiveness into every buyer and seller experience. If you need an answer – she’ll find it. If you need something done – she’ll do it. Her aim is to make you feel number one. Your property experience is everything to her. She establishes a sense of order immediately to ensure things roll along with textbook precision, so that success and satisfaction follow. Of most importance, yours. Building and maintaining strong client relationships is something she works diligently at daily. Whether you are selling or purchasing a $300,000 unit or a $5 million home, Kathryn and the Harcourts Brock Estate team collectively form an alliance that you can trust. 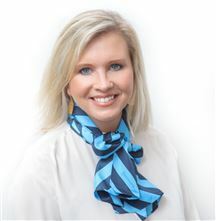 Having spent her entire working life in the real estate industry, Sarah Stokes brings a wealth of knowledge to our team. Providing support to our Sales team, Sarah's expertise are highly valued. Sarah offers an exceptional service with an innate knowledge of the industry whilst also providing management support to Trent & Kim Shorland. Combining Sarah's excellent administration and well rounded knowledge in all facets of real estate she is a great asset to the team. We highly value her ongoing contribution and trustworthy reliable nature. Hills, City and Beach Views! Enjoy Sea Views and Sunsets!